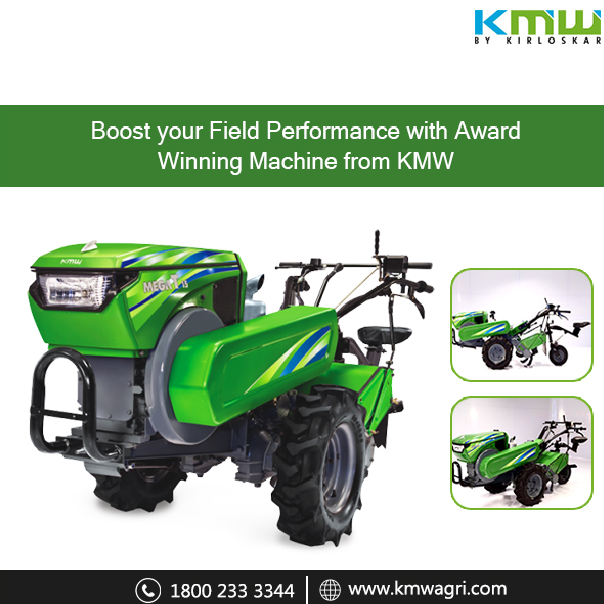 We take pride in announcing that India’s leading farm mechanization brand KMW by Kirloskar will be exhibiting at the 7th edition of Krishi Darshan Expo 2017 which will be held at Ministry of Agriculture and Farmers Welfare, Department of Agriculture Cooperation, NRFMTTI, Hisar (Haryana). This mega event & conference on Agriculture & Horticulture Industry is scheduled to be held from 28th to 30th October 2017 daily from 8AM to 5PM. Focused mainly on the agricultural industry, this exhibition will help farmers gain the understanding of modern day techniques and equipment used in farms. KMW will be exhibiting its range of smart farm machines at this expo for farmers, dealers and distributors to get a close look of its products. Our team of highly qualified and experienced professionals will be at your service to give you a virtual tour of our products and explain its usage, applications as well as make you familiar with its amazing benefits and specifications. To know more about event, contact us today!